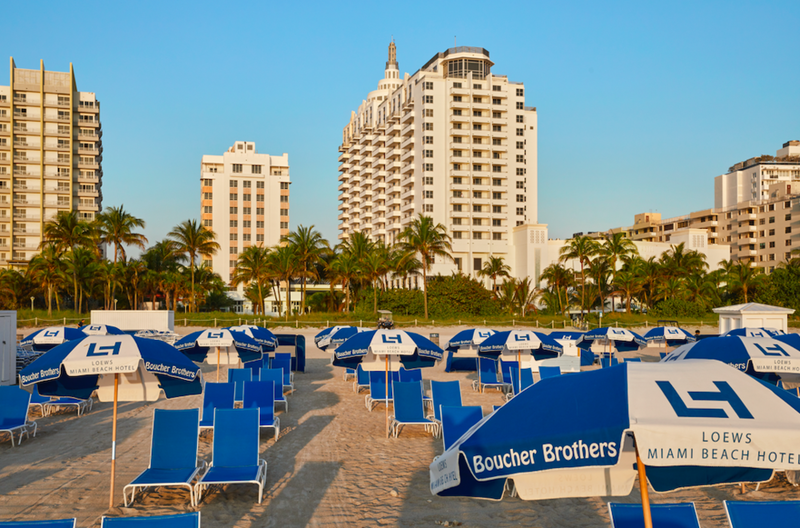 There’s nothing like visiting sun-drenched South Beach—no matter what time of year, it always delivers on relaxation, entertainment, and cuisine. 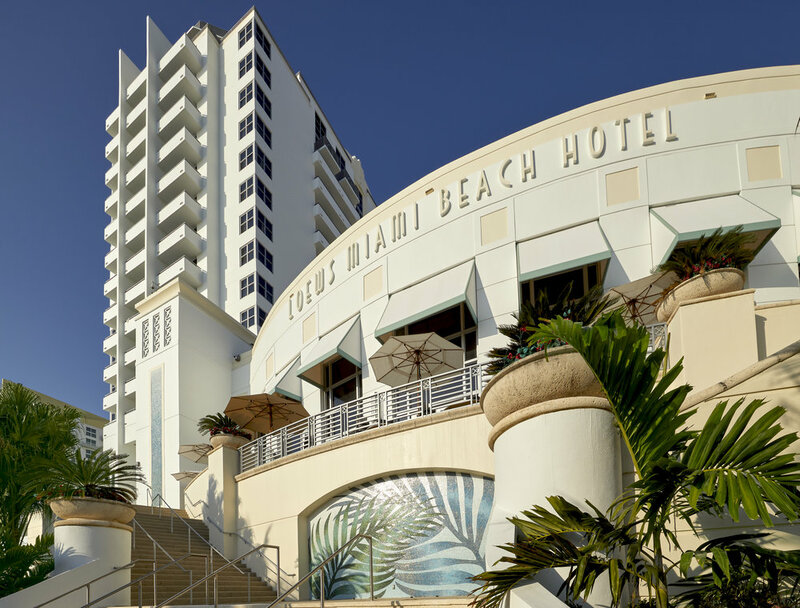 More specifically, the Loews Miami Beach Hotel has been a pioneer in providing top hotel accommodations to the city’s visitors since its inception in 1998. 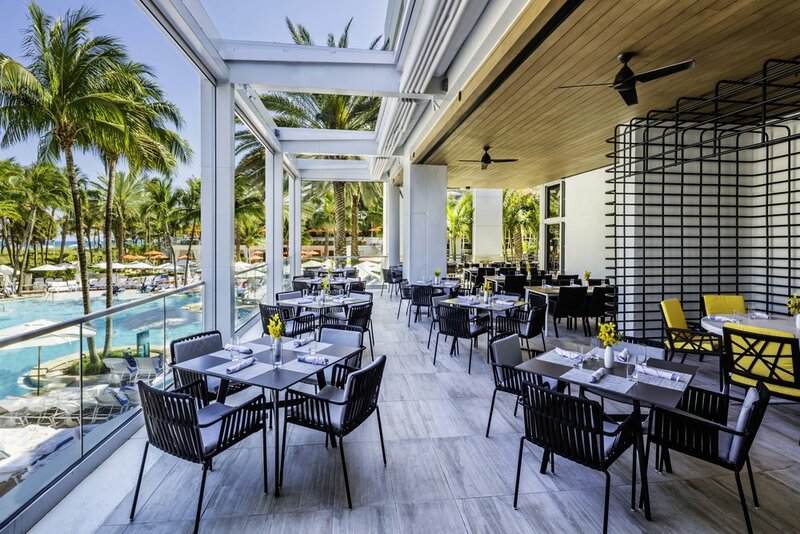 The Loews—located in the heart of the Art Deco District and near shopping Mecca Lincoln Road—recently underwent a $50 million renovation, which includes 760 upgraded bedrooms, a new variety of food and beverage offerings, an oceanfront poolscape with cabanas, a state-of-the-art kids club, and more. Over the holidays, I had my very own VIP-hosted stay, where I was able to explore this South Beach Icon even further—let’s just say the ever-so-turquoise ocean wasn’t the only wow this hotel had to offer. 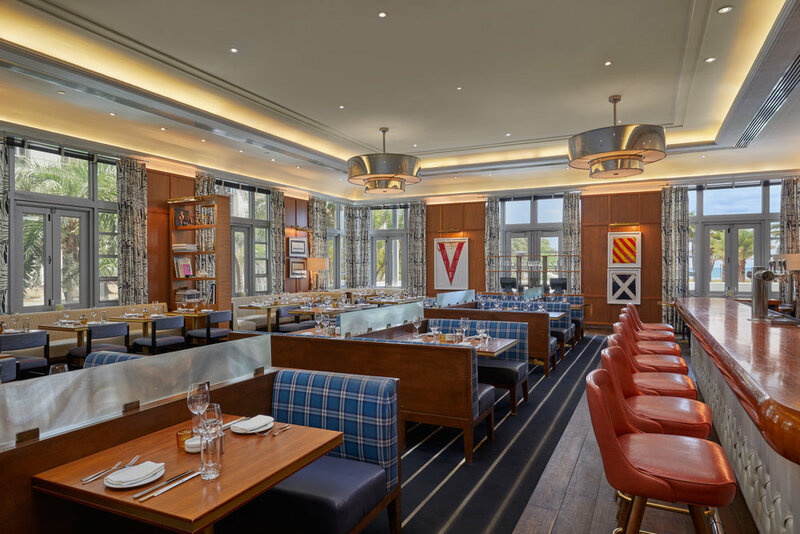 The entire property—from the lobby to guest room—is what the Loews calls a “bespoke art experience,” featuring a lofty collection of multi-media, commissioned art. There are sculptures, murals, headboards, and carpets that capture the essence of South Beach, with elements of the sun, sand, and sea. During my experience, I indulged in the Resort Amenity Package, which included a plethora of benefits: Premium Plus upgraded internet access for up to four mobile devices; daily fitness center access; complimentary daily meditation classes; four beach chairs; use of kayaks, paddle boards, and boogie boards; banana boat rides; and unlimited local calls. 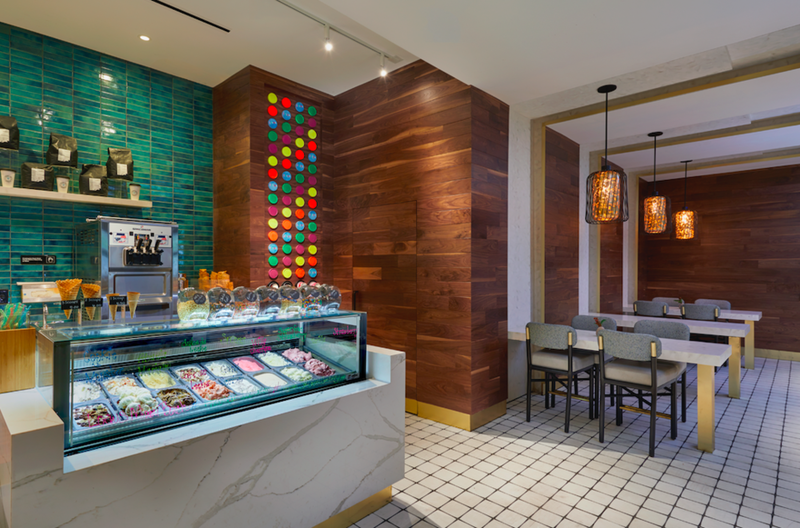 In addition to the hotel’s Splash & Splish retail boutiques, where guests can buy anything ranging from resort-inspired dresses to beach balls, there are a number of eateries in the property that feature “bites and sips from the local culinary.” Among the restaurants and lounges are Preston’s Market (includes a daily breakfast buffet), Bar Collins (with a brick pizza oven), Miami Joe Coffee Co. (housing the famed Azucar Ice Cream), Lure Fishbar, and Nautilus. If you are traveling with a child between the ages of four and twelve, he/she is invited to enjoy the Sobe Kids Club. The youth-only experience houses a large, indoor lifeguard hut, as well as areas for crafts, TV time, and video games. There are half and full-day programs that include pizza-making classes, scavenger hunts, raft races, and more engaging activities. Throughout the day, guests crowd the beach and hotel pool, where the concierge provides a high-class experience. Adults and children alike enjoy chilled hand towels, Evian and suntan lotion misting, and snacks passed around gratis: fruit-loaded sticks, pineapple juice served in shot glasses, mini guava smoothies, and more. 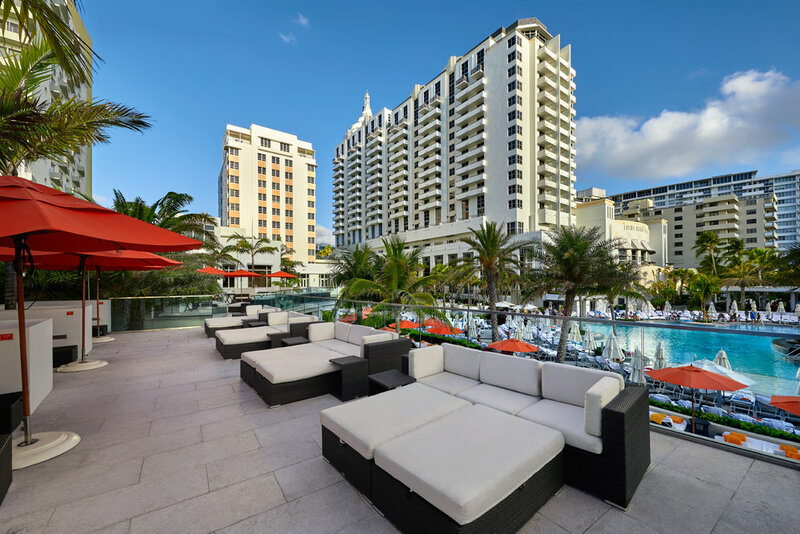 Directly aside the pool are the Loews’s luxury SOAK Cabanas, complete with a full, marble bathroom; climate control; indoor and outdoor seating; safe deposit box; sundeck; soft seating; flat-screen TV; iPad; and minibar. 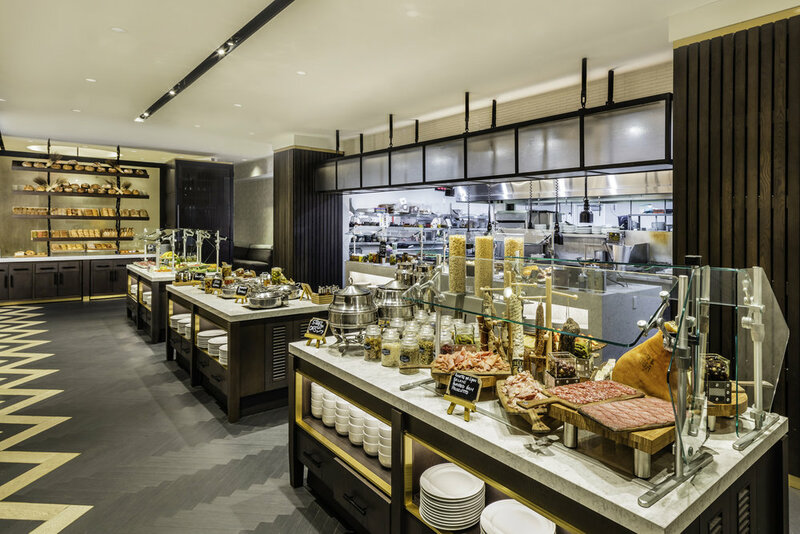 This experience also includes an expanded food menu, hourly poolside pampering, and an exclusive jacuzzi. 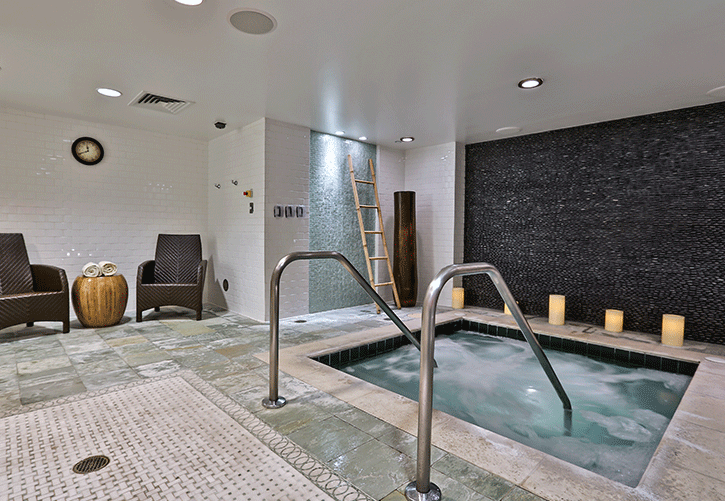 One of the highlights of the Loews is Exhale Spa, containing a complete menu of spa therapies, from facials and massages to waxing and acupuncture. During my visit, I was given a 60-minute True Facial, complete with a custom enzyme exfoliation, careful extractions, and a relaxing mask. Then, I received the 35-minute Pure Pedicure, featuring an organic lavender scrub exfoliation, moisturizing ginger foot mask, callous remover, heel balm, and polish of choice. 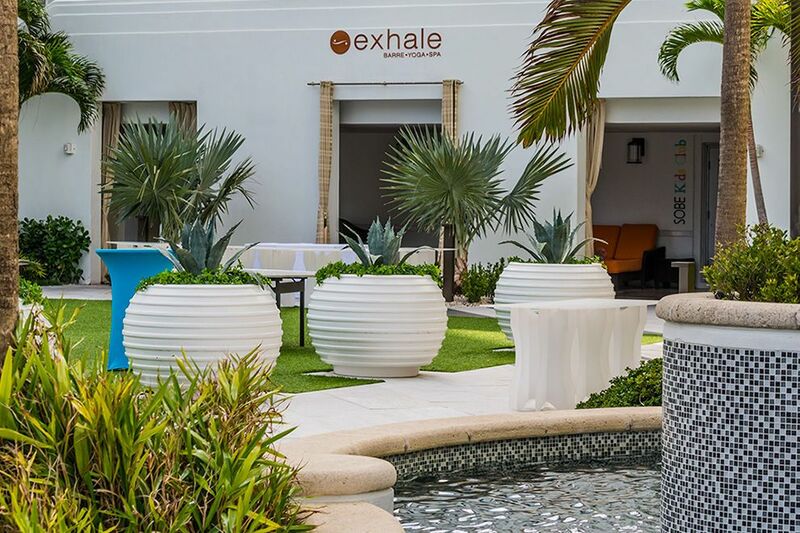 Additionally, Exhale features award-winning fitness classes that “sculpt, lengthen, and transform your body,” including barre, cardio, and yoga. 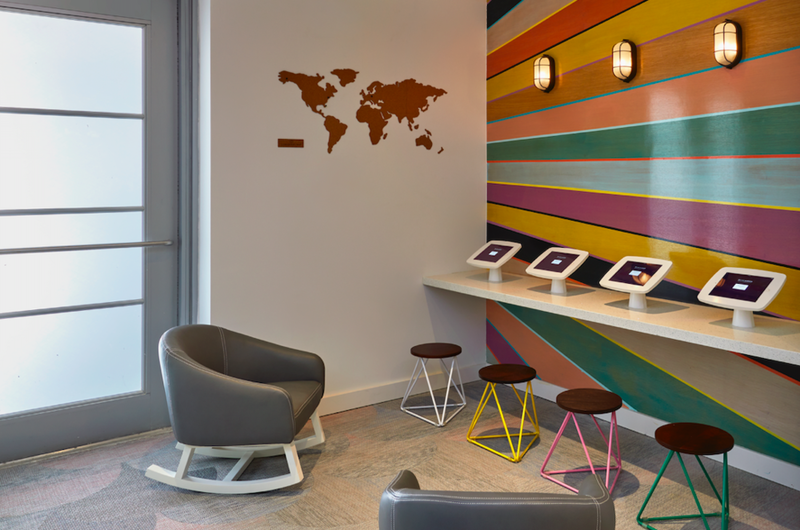 Next to the spa—located in the St. Moretz tower—is Glam+Go, a full-service salon offering express hair blowouts. The salon features top stylists that do classic wash and blow services or 15-minute express blowouts for the woman on the go. Glam+Go also offers makeup applications; braids, buns and ponytails; and haircuts/coloring for both males and females. 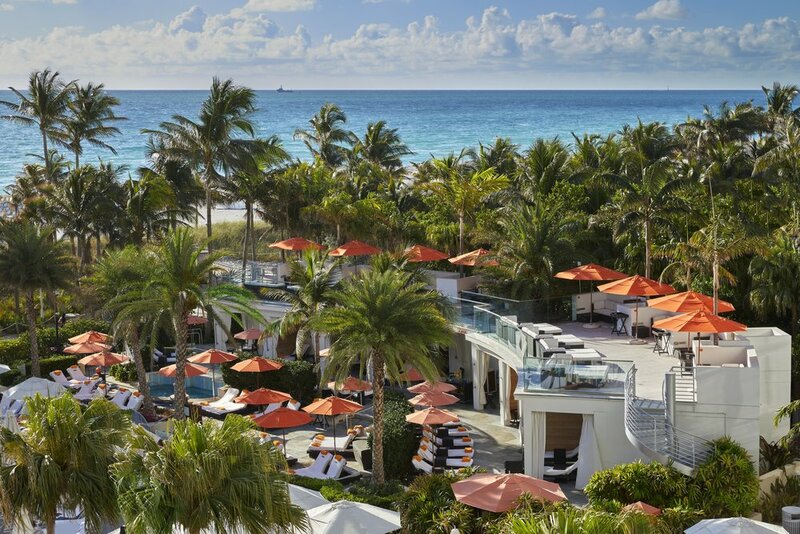 The Loews Miami Beach Hotel is, and forever will be, one of my favorite travel destinations. It has the perfect balance of excellent service, activities, food, cuisine, and amenities that give guests the vacation of a lifetime. I, certainly, can attest to that.